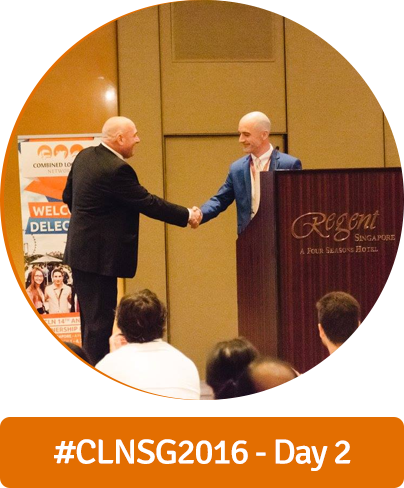 The Combined Logistics Networks has recently concluded its 14th Annual Partnership Meeting with a success! It is the best and most successful conference yet of the network. More than 300 forwarders from all over the world has joined our 2016 meeting, to know more about the network and strengthen their business relationships with fellow members. 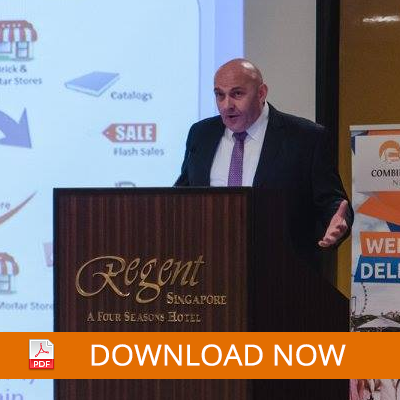 The conference was held last March 1 – 4, 2016 at The Regent Hotel, Singapore. The CLN Annual Partnership Meeting was in conjunction with IAM Logistics Networks Conference, which is attended by more than 60 IAM members. Delegates were pleased to meet other decision makers that will help them grow their business. 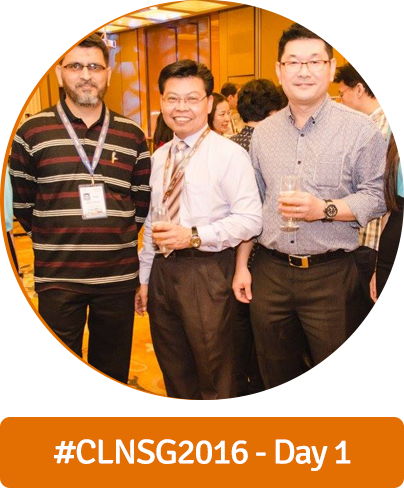 Registration started on March 1, where everyone was encouraged to register and get their conference kits, on the same day, we had our CLN Golf Game at Keppel Club where we had a different podium to meet and have fun with fellow delegates. In the evening of March 1, we had our Welcome Cocktail reception at the Regent Hotel Royal Ballroom. It was an evening of reuniting old CLN friends and meeting new ones. 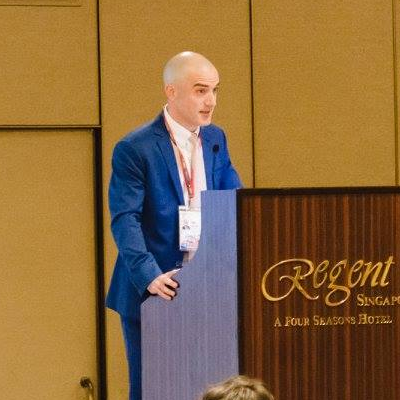 On March 2, CLN Director Nils Walle officially welcomed the delegates to the 14th Annual Partnership Meeting and gave updates about the network and its developments. 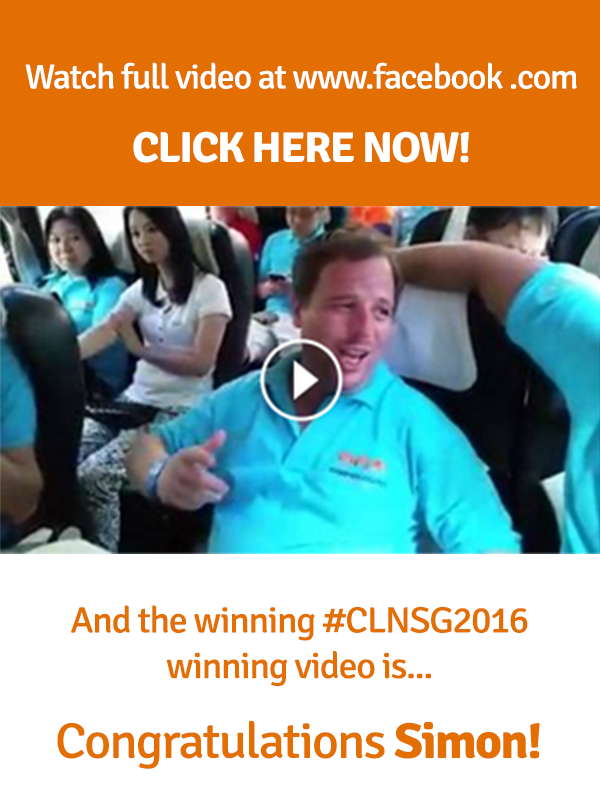 Nils’ also announced the #CLNSG2016 Selfie Competition and Video Contest, which is open to all delegates to share their selfies and videos during the conference. Mark Millar, our keynote speaker, gave a talk about Exploring Future Directions for Global Supply Chains. Download the presentation of Mark Millar, by clicking the picture below. 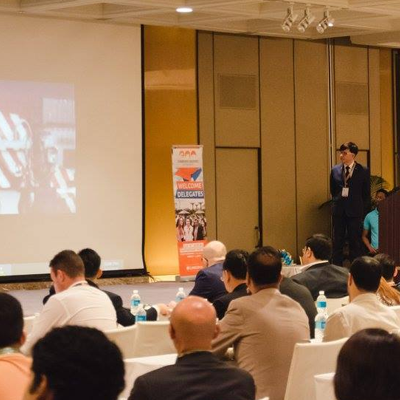 Our Diamond Sponsor, Global Maritime Services Co Ltd (Vietnam) was given the privilege to introduce and discuss their services and the background of their company. Our members from Singapore also discussed the history, ports, and places to visit in Singapore to let our delegates know more about Singapore. Our partner WiseTech Global discussed about “Productivity- Inevitability” with a hope that our delegates may be able to apply this in their business. On the afternoon of March 2 and whole day of March 4, hundreds of face-to-face meetings were scheduled between the delegates. 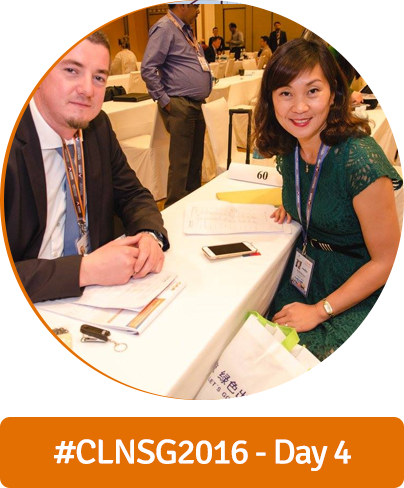 The CLN delegates were able to rekindle the friendship of members and started to develop new business and ideas together. All delegates were invited to have a dinner night out after a long day of face-to-face meetings. Our delegates had a chance to relax and catch-up with other delegates. We went to Hard Rock Café Singapore where we had a sumptuous international buffet with different selections of cocktails while having a good time with CLN delegates. 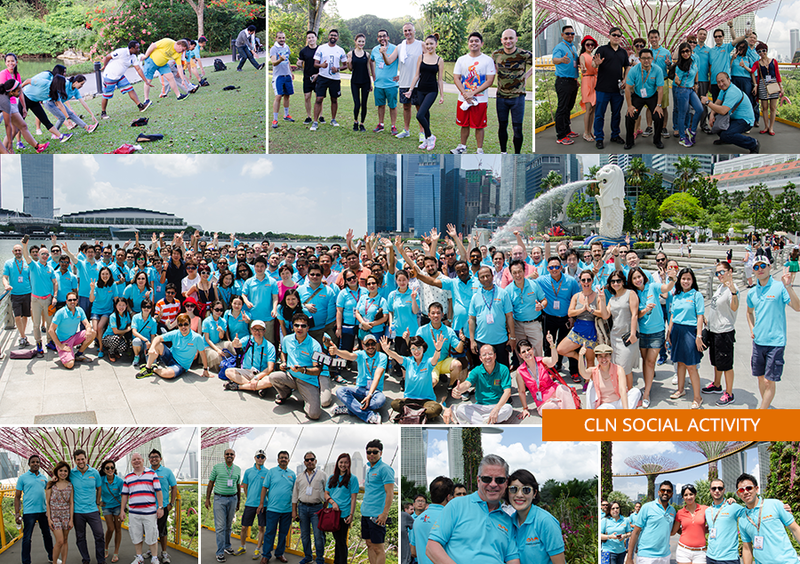 The CLN Loyalty Awards were handed out as well to those members who have been with the network for 3 years, 5 years, 8 years, 10 years, and a special mention to our honorary members who have been with the network for almost 14 years now. On March 3, we have organized a full day social activity for our delegates. On the morning, we have arranged a fun run sponsored by ClearFreight (USA) at the Singapore Botanic Gardens. After resting from the run, we headed out for our group outing around Singapore. 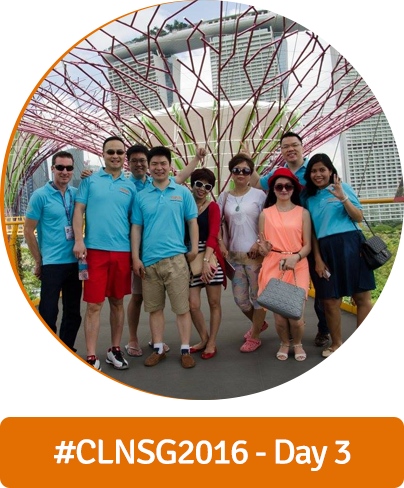 We visited Gardens by the Bay and went to try the Skywalk to have a better view of Singapore Skyline. 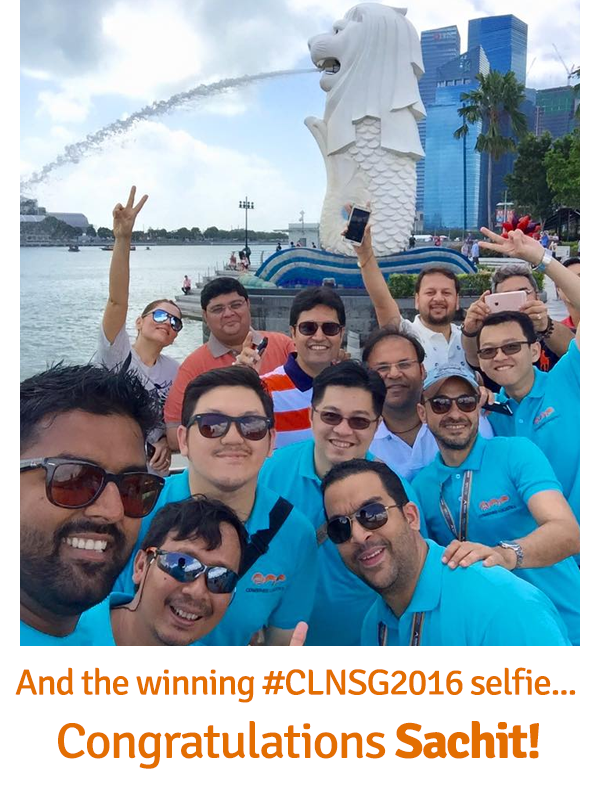 And of course, visiting Singapore will not be complete if we did not go to Merlion Park where we had our epic group photo. On the evening of March 3, we had prepared a sunset cocktail for the delegates at Tanjong Beach Club at Sentosa Island. We had a different view of Singapore while enjoying beers and food.